Then Came You (2018) Bluray 480p, 720p A hypochondriac working as an airport baggage handler is forced to confront his fears when a British teenager with a terminal illness enlists him to help her carry out her eccentric bucket list. The Final Girls (2015) BluRay 480p, 720p A young woman grieving the loss of her mother, a famous scream queen from the 1980s, finds herself pulled into the world of her mom's most famous movie. Reunited, the women must fight off the film's maniacal killer. 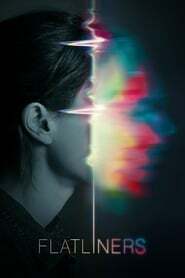 Flatliners (2017) Bluray 480p, 720p Five medical students, obsessed by what lies beyond the confines of life, embark on a daring experiment: by stopping their hearts for short periods, each triggers a near-death experience - giving them a firsthand account of the afterlife.